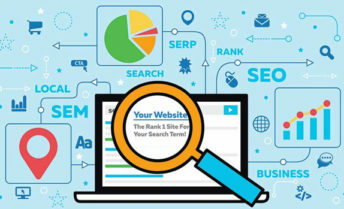 MQT Global > Blog > Business intelligence > How to Track Your Local SEO & SEM? You don’t have to be an expert to know that proper tracking is undoubtedly the most crucial element in your business’s digital marketing. An effective tracking system helps you figure out which of your “budget and marketing strategies” are working and which are proving to be ineffective. Google Analytics proves to be an effective tool in tracking the local SEO and SEM. Many tracking tools are available in the market for tracking purposes, but Google Analytics can be used for free. A user will have to create a free account, log in and then it’s ready to be used. It is important that you focus more on conversions rather than online traffic. By establishing right goals, conversion can go a long way in benefiting your business. Make sure that you set the right goals on your Google Analytics. Another great way of tracking conversions is by call tracking tools. Some call tracking tools can even be integrated with Google Analytics by converting phone numbers into tracking numbers. It significantly helps with the SEO campaigns, as the conversions lead to high traffic without much costs involved. Form tracking can be configured very simply and easily by having the submitted forms direct to a ‘Thank You’ page. The ‘Thank You’ page is the last page of your eCommerce or Corporate web, which will be easily track all the user’s activities into Funnel report or can also be used by the business to show recommendations to other services, articles or more to keep the visitors stick for long. The ‘Thank You’ page also provides a surety and affirmation that the form has been successfully submitted. There are many plugins for WordPress that help you in this, including GravityForms, Contact Form 7, and Ninja Forms. a. How many visitors visit page. c. Which keywords need to be optimized. The importance of tracking your local SEO and SEM while using Google Adwords cannot be stressed enough. Google Adwords allows you to attain vital conversion data, which needs to be thoroughly assessed to see if your digital approach and strategy is effective. Make sure you link your Google Adwords account with your Analytics and Search Tools account, giving you an overall look at the entire data. It helps in making critically more informed optimizations to the campaign settings, keywords, ad text and more. The GMB lays the edifice for your local SEO infrastructure, whilst the GMB Insights give you comprehensive data including the impressions and clicks. The tool also assists you in keeping a count of the number of calls the listing generates for you. It tells you the number of people who clicked on your phone number but it doesn’t take into account the amount of people who actually made the call. It also doesn’t provide you any insights into the calls that come for desktop users. Sign up with MQT Global today to stay par with the evolving social media, digital marketing and more. Our tech advisors and digital marketing specialists can cater to all your eCommerce commerce demands by devising effective strategies.